An alien force, the Shapers, is trying to manipulate our minds by filling the world with Exotic Matter (XM) via portals associated with works of art and other objects in public places. There are two secret factions fighting to control these portals. The Enlightened faction believe the alien force is good and this is the dawning of a new age for humanity. The Resistance faction believe this is a bad thing and that the Shapers are simply trying to control us. There are currently thirteen portals within the Edinburgh Botanics grounds and they are all controlled by the Enlightened but Edinburgh as a whole is controlled by the Resistance. We must struggle to protect the our Enlightened enclave or perhaps destroy it depending on which side we take. 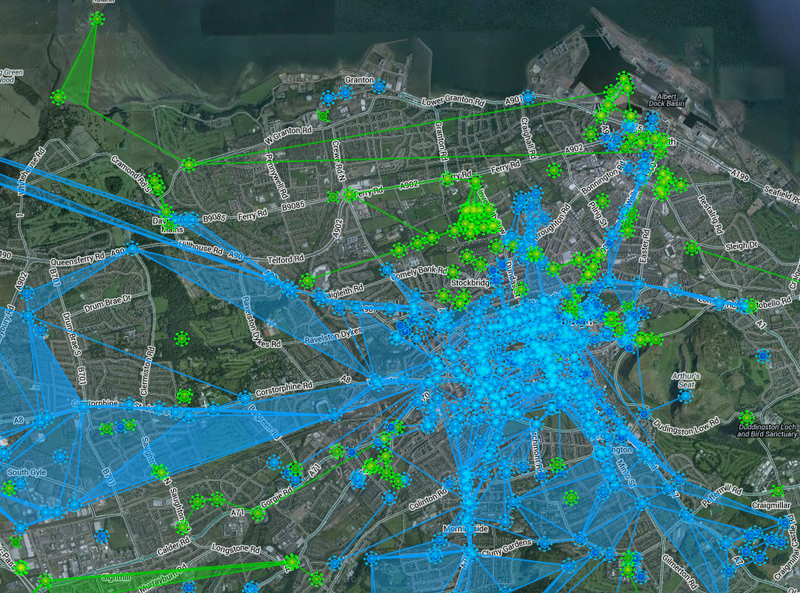 If you are not a gamer, nerd or geek you probably won’t know about Ingress the near-real time augmented reality massively multiplayer online pervasive game created by Niantic Labs, a start up within Google, but it is everywhere and there really are thirteen portals in our Edinburgh gardens. You play the game by wandering around with your smart phone (currently only Android but coming to iPhone soon) and interacting with the portals. The portals are identified by their location using GPS so there is nothing physical to see on the ground. This means that some of our visitors are not only enjoying the beauty of our gardens and learning about our work they are also involved in an alien invasion. Control of Edinburgh December 2013. 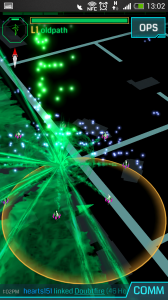 Enlightened are green. Resistance are blue. Niantic Labs have a more sedate app called FieldTrip which is designed to inform you of nearby places of interest. Currently there are a few places of interest in FieldTrip for the Botanics but we are looking to increase this if we can. FieldTrip even integrates with Google Glass the wearable computer display. Just like the invasion of the Shapers this wiring up of physical space and virtual space is happening whether we like it or not. All objects are being linked to their “data shadows” in the virtual world. The question is how we use this to promote our goals of increasing understanding and protection of the natural environment. Personally I’m going to start by making sure the gardens stays an Enlightened enclave! But that is just a choice I made when I joined the game.